on Platinum Delta SkyMiles® Business Credit Card from American Express's secure website. Earn 2 Miles per dollar spent on purchases made directly with Delta. Earn 1 mile on every eligible dollar spent on purchases. Miles don’t expire. The American Express Platinum Delta SkyMiles® Business Credit Card is best for frequent Delta Air Lines flyers who want access to priority boarding and additional perks. 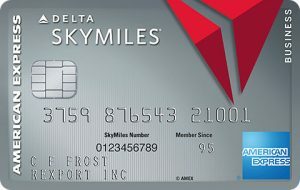 It offers two miles per dollar spent on Delta purchases and one mile per dollar on all other purchases. Cardholders receive their first checked bag free, and you’ll pay an annual percentage rate of between 17.99% and 26.99%. The best small business travel credit cards provide up to 5x points on travel purchases. They also offer up to 80,000 introductory bonus points and an 0% APR period of nine months. This American Express business credit card falls short of some of the best ongoing rewards available. However, it has a substantial introductory offer and unrivaled travel perks. We rate this card 4 stars out of 5 stars. The American Express Platinum Delta SkyMiles® Business Credit Card offers two miles for every dollar spent on Delta purchases. It carries an annual fee of $195. However, it comes with additional benefits including priority boarding and free checked baggage. Its additional perks alone could be worth in the thousands per year. While the American Express Platinum Delta SkyMiles® Business Credit Card is lacking substantial ongoing rewards, the additional benefits and perks it offers, such as extended warranty and return protection, are like no other card. When grading a travel rewards business credit card like the American Express Platinum Delta SkyMiles® Business Credit Card, we weight ongoing rewards, introductory rewards, and additional card benefits heaviest. We also consider the card’s annual fee and introductory and ongoing APRs. This Delta business credit card suffered in our evaluation because it doesn’t offer a 0% APR period. Based on our five-star rating system where 20 points equals one star, the American Express Platinum Delta SkyMiles® Business Credit Card could have scored 4.5 stars if it offered a no-interest introductory period or more substantial ongoing rewards. In cases where cards receive perfect scores in most categories, we may award bonus points to boost the card’s rating. Despite the card’s excellent ongoing rewards and additional features, our grade of 4 stars is appropriate because the American Express Platinum Delta SkyMiles® Business Credit Card’s rewards fall short of some of the best travel credit cards. Conversely, the Capital One® Spark® Miles for Business card offers 50,000 miles after spending $4,500 in the first three months. The American Express Platinum Delta SkyMiles® Business Credit Card is best for businesses who travel with Delta frequently and want to use card rewards for free Delta Air Lines flights. It’s also a solid card option for people who travel a lot with Delta Air Lines and typically check a bag as it offers your first checked bag for free. The American Express Platinum Delta SkyMiles® Business Credit Card offers no introductory interest rate and has an annual fee of $195. It also has an ongoing APR between 17.99% – 26.99%, which fluctuates with the prime rate. With an annual fee of $195 and up to 99 free employee cards, this is an inexpensive card option compared to other premium American Express cards. This American Express business credit card is an excellent option for overseas travelers because it doesn’t charge a foreign transaction fee on purchases. Its costs, however, are generally more expensive than the Chase Ink Business PreferredSM, which carries an APR between 18.24% and 23.24% and has an annual fee of $95. To avoid paying interest on the American Express Platinum Delta SkyMiles® Business Credit Card, you must pay your entire balance by the due date each month. Your due date is at least 25 days after the close of your billing period. This potential due date is longer than other small business credit cards. 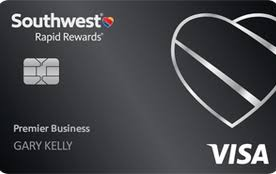 The Southwest Rapid Rewards® Premier Business Credit Card, for example, is due at least 20 days after the close of your billing cycle. The American Express Platinum Delta SkyMiles® Business Credit Card offers travel rewards in the form of miles for purchases made directly with Delta. For every dollar you spend on Delta purchases, you will earn two miles in rewards. You’ll also earn 5,000 MQMs and 35,000 bonus miles when you spend $1,000 within three months. The introductory rewards on the American Express Platinum Delta SkyMiles® Business Credit Card fall short of other travel rewards credit cards. The Capital One® Spark® Miles for Business card, for example, offers 50,000 miles when you spend $4,500 in the first three months. MQMs don’t have any monetary value. Instead, they track your Delta membership status and are based on your distance flown. You can earn Delta Medallion Status ― Silver, Gold, Platinum, or Diamond ― with your MQMs. With Medallion Status, you have opportunities to fly more comfortably, move to the front of the line, enjoy waived fees, and other elite benefits that only Delta offers. With the Chase Ink Business PreferredSM, you’ll earn 3x points rewards on airfare purchases. However, those points can’t be transferred to Delta’s frequent flyer program. Typically, Chase customers use their points to purchase a flight through the Chase rewards portal. The added benefit of your earned points is that they never expire, as long as your account remains active. Reward restrictions here are common across all small business credit cards. You can redeem your miles by booking travel on Delta and Delta Connection carrier-operated and ticked flights booked through the Delta rewards portal. Your miles redemption must be in increments of 5,000 miles with a minimum of 5,000 miles per redemption. The redemption value for SkyMiles is $50 for every 5,000 miles. If your miles fall short of your ticket price, you’ll be able to use your American Express Platinum Delta SkyMiles® Business Credit Card to pay the difference. 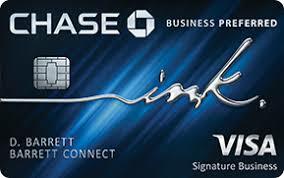 Conversely, with the Chase Ink Business PreferredSM you can redeem your rewards for travel, cash back or gift cards. When you redeem your points for cash back or gift cards, they are worth one cent per point. When you redeem your points through the Chase online portal, travel is worth 1.25 cents per point. American Express Platinum Delta SkyMiles® Business Credit Card offers a variety of travel and purchase protections similar to other travel credit cards, such as extended warranty protection. It also offers a roadside assistance hotline, global assistance hotline, baggage insurance plan, return protection, priority boarding, and access to Delta Sky Clubs. The American Express Platinum Delta SkyMiles® Business Credit Card provides a 24-hour dispatch hotline that can send a tow truck or locksmith to help with an emergency. Although the roadside assistance hotline is available at no additional charge, card owners will be charged for any services or goods provided. Some other premium American Express business credit cards offer these services at no additional charge. 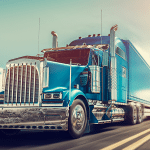 For example, the American Express Business Platinum Card® includes these services at no cost to cardholders in addition to 10 miles of free towing. In comparison, the Chase Ink Business PreferredSM doesn’t offer any roadside assistance services. Tractors and trucks weighing 10,000-plus pounds. Roadside assistance hotlines or coverage plans aren’t offered by all small business travel credit cards. Both the Chase Ink Business PreferredSM and Southwest Rapid Rewards® Premier Business Credit Card don’t offer a roadside assistance service for their cardholders. The American Express Platinum Delta SkyMiles® Business Credit Card provides coverage for purchased items that are damaged or stolen up to 120 days from the date of purchase, which is 90 days for New York residents. The purchase protection plan will pay up to $1,000 for an item and up to $50,000 for all incidents for one year. There are some small business credit cards that offer better purchase protection than this American Express business credit card. The Chase Ink Business PreferredSM, for example, covers up to $10,000 per claim compared to the $1,000 coverage American Express offers. The American Express Platinum Delta SkyMiles® Business Credit Card may refund the purchase price of an item if you try to return an eligible item within 90 days from the purchase date and the store won’t accept it. American Express limits the refund amount to $300 per item and $1,000 each year. Items are only eligible if they’re in original condition and can’t be returned to the original store. American Express return protection covers purchases charged entirely on your American Express Platinum Delta SkyMiles® Business Credit Card and those that can’t be returned to the store within 90 days from the purchase date. Other small business credit cards don’t offer this coverage, including the Chase Ink Business PreferredSM. Return protection is a premium small business credit card perk that’s offered on different American Express cards. For example, both the American Express Business Platinum Card® and American Express® Business Gold Card offer return protection. Most competitors don’t offer return protection. For those cards that do, exclusions here are common. The American Express Platinum Delta SkyMiles® Business Credit Card provides extended warranty protection if your eligible item as an original warranty of five years or less. American Express will provide two extra years if the warranty is between two and five years long, or they will match the warranty if it’s less than two years. For example, if your purchased item has a five-year warranty, American Express will offer two additional years. American Express extended warranty protection covers purchased items on your American Express Platinum Delta SkyMiles® Business Credit Card with an original manufacturer warranty of five years or less. 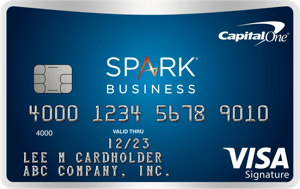 Conversely, the Capital One® Spark® Miles for Business card only doubles the manufacturer’s original warranty up to one additional year on warranties of three years or less. Extended warranty is not guaranteed on all small business credit cards. However, for those that do offer it, exclusions here are common. The American Express Platinum Delta SkyMiles® Business Credit Card provides card owners with travel accident insurance up to $100,000. American Express will only cover claims where the entire fare was charged to your American Express card. The American Express Platinum Delta SkyMiles® Business Credit Card provides travel accident insurance if you die or lose a limb, sight, speech, or hearing in regard to any travel fares that were paid for entirely on your card. Both the Southwest Rapid Rewards® Premier Business Credit Card and Chase Ink Business PreferredSM don’t offer travel accident insurance. Stroke or cerebrovascular accident, cardiovascular accident, myocardial infarction or heart attack, coronary thrombosis, aneurysm, or deep vein thrombosis. American Express offers other small business credit cards with much better coverage. For example, the American Express Business Platinum Card® provides up to $500,000 in coverage for its cardholders. Exclusions here are common across most small business credit cards. The American Express Platinum Delta SkyMiles® Business Credit Card provides baggage insurance coverage between $250 to $1,250 on any lost bags while in transit, carry-on baggage, checked baggage, or high-risk items. High-risk items generally include jewelry, sporting equipment, or electronic equipment. This type of coverage falls a bit short compared to the Chase Ink Business PreferredSM lost luggage reimbursement plan. The Chase Ink Business PreferredSM provides reimbursements up to $3,000 If your checked or carry-on luggage is lost or damaged while on a flight or traveling with another covered carrier. Some other American Express cards offer better baggage insurance coverage. For example, the American Express Business Platinum Card® offers coverage between $1,000 and $3,000. Exclusions here are common across small business credit cards. When you use your American Express Platinum Delta SkyMiles® Business Credit Card for a car rental, you are protected throughout your rental period. This American Express card offers coverage up to $50,000 per car rental agreement for the first 30 consecutive days of a car rental. Most small business credit cards, like American Express, set a monetary cap on the car rental loss and damage insurance. In comparison, the Capital One® Spark® Miles for Business card provides reimbursement for damage due to collision or theft up to the actual cash value of most rental vehicles. So, the coverage with Capital One can be a bit higher, depending on the value of the rental vehicle. Car rental loss and damage insurance exclusions are common across all small business credit cards. To cover all your bases, review both your credit card policy and the rental agreement. When you travel more than 100 miles from home, the American Express Platinum Delta SkyMiles® Business Credit Card provides a global assistance hotline. It provides cardholders with 24 hours a day access to medical, legal, financial or other select emergency and assistance services. However, card owners will be responsible for any fees third-party service providers charge. The Capital One® Spark® Miles for Business card also provides a 24-hour a day emergency hotline. Capital One’s travel and emergency services are available at no additional charge. However, you will be responsible for the cost of any actual medical, legal, transportation, cash advance, or other services or goods provided. The American Express Platinum Delta SkyMiles® Business Credit Card provides some of the most robust account management tools across most small business credit cards. These account management tools help account holders pay their bills, check card balances, and view employee card transactions. Plus, you can connect your account to QuickBooks to have your transaction data automatically transferred. 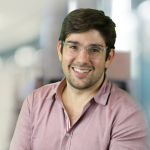 American Express provides some of the best account management and expense reporting tools among most small business credit cards. Additionally, you can set custom account alerts, receive year-end summaries, and online credit card statements to view your purchase history and prepare reports. With this American Express business credit card, you receive a reduced fee for Delta Sky Clubs. Delta Sky Club exclusive per-visit rate of $29 per person is available to American Express Platinum Delta SkyMiles® Business Credit Card Members and up to two guests. It may be used only in conjunction with same-day boarding pass on a Delta Air Lines flight. If you don’t want to pay for this additional service every time, then the American Express Business Platinum Card® would be a good option. The American Express Business Platinum Card® offers free access to airport Delta Sky Clubs. All you need to enter is your eligible American Express card, government I.D., an airline ticket for that day. Although the American Express Platinum Delta SkyMiles® Business Credit Card has an annual fee of $195, you can add up to 99 additional employee cards at no cost. Most small business credit cards don’t charge a fee for additional employee cards, regardless of whether the primary card has an annual fee. However, some premium credit cards may charge an additional fee. The American Express Business Platinum Card®, for example, charges a $300 fee for employee cards. The American Express Platinum Delta SkyMiles® Business Credit Card offers lower ongoing rewards on airfare purchases compared to other small business travel cards, like the American Express® Business Gold Card at 4x points. Additionally, this American Express business credit card isn’t a great card to carry a balance on because the APR is high at 17.99% to 26.99%. If you expect you’ll need to carry a balance, consider a no-interest business credit card. We sourced the internet for American Express Platinum Delta SkyMiles® Business Credit Card reviews and found most reviews to be positive. Frequent Delta flyers enjoy the rewards they earn on their Delta purchases. However, a few negative reviews suggest the $195 annual fee is too high if you don’t travel often to receive the additional card benefits. You can apply for the American Express Platinum Delta SkyMiles® Business Credit Card online. You will be required to provide your basic personal and business information. After you complete your application, you will typically receive a decision instantly. Once approved, your card will come in the mail within seven to 10 days. You can check on your application status online. You can log in your American Express Platinum Delta SkyMiles® Business Credit Card account online by providing your user login ID and password. If you run into any difficulties, you can contact business credit card customer service through the American Express website. American Express offers a variety of small business credit cards that fit different business spending needs, like 0% APR credit cards and cash back rewards cards. They carry different introductory and ongoing rewards, interest rates, and annual fees, which are waived during the first year for some cards. Some small business travel rewards cards may offer better spending categories or reward redemption opportunities for your business. You may want to consider an alternative if you’re looking for rewards that fit your spending categories better or if you need a low-interest credit card.